***Budgeted Position: Amount of budget for each event will be given to the event chairman at the Kick-off Meeting. NWCC stands for Northwest Community Church. For ALL reservations at NWCC, please coordinate with the Steering Committee Secretary, Deb Karl. Bicycle aptitude “rodeo” put on by the SAPD, held in the parking lot of NWCC. Date is set by Steering Committee, and is in early March. The Bike Rodeo Chairman will contact the Student Services Officer (in September) to schedule her for the scheduled date, will send out info & reminders to the group and will organize the Bike Rodeo Committee of three to set up (according to the officer’s instruction), sign up Rodeo Riders, coordinate extra helpers/runners for the event, buy ribbons/medals/trophies and refreshments (drinks and fruit, cookies or popsicles), and clean up. The officer is great assistance with running the event. Under the instruction/direction of the Bike Rodeo Chairman, a committee member might be asked to help set up event area with other committee members and the officer, assist with running the event and clean up, and possibly help with errands associated with snack and prize purchases. The Book Swap Coordinator will communicate with the group when the FEAST book sale takes place. Will be coordinating with members who wish to sell books and order the tables with FEAST. Responsibilities include planning, securing a location, and delegating to a committee for a holiday themed party in mid-December. Planning the food, crafts, and possible games are some of the usual things, but we love new ideas and activities so feel free to try new ideas. Assist the Christmas Party Chair with any/all preparations for the Christmas party. Schedule time and date in August or September, by calling (210) 224-1843. Have people sign-up for time slot they can attend, if interested. Send out reminders as the date gets closer. Rearrange schedule as cancellations happen and keep the Elf Louise staff updated on the size of the group. Take God’s World News magazine orders from members, collect money, order and get subscriptions to each family. Both senior and kindergarten graduation coordinators will coordinate a date and time together. A possible idea is kinder graduation from 4 – 6 pm and then high school graduation from 7 – 9 pm. You can ask moms of those age groups to help with the event. Plan a fall themed party. Secure a location, time and date, plan for food, crafts, games, whatever you feel led to do, with the help of your committee member. Assist the chairman with planning, set up and clean up, and help facilitate the event. Responsibilities include securing a photographer and setting a schedule for the pics to be taken. Coordinator then publishes on the loop the place, date and schedule and then manages the communications with the loop. Coordinator is required to be there the day of the pictures and help with the flow of the people and to make sure that the photographer has what he needs. With a committee, Valentine’s Chair will plan a Valentine’s party to include a Valentine’s exchange, craft, activities, cookie decorating, goodie bags, etc. Reserve a location, and notify the group of date, time and location. Assist the chairman with preparation of, set up and running of crafts and activities, etc., and clean up. Each month you will write cards of encouragement for the moms. You will be supplied with cards and stamps. You will also regularly pray for our group, its members and families, at least weekly. Pray for protection and traveling mercies for any NWHE event and all requests as they become known. Make contact with those asking for prayer and follow up via email or telephone for more prayer needs or praise reports. Possibly send prayers of encouragement over the website occasionally, whatever the Lord lays on your heart to do, and visit members in the hospital to pray for them. 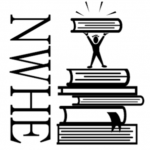 Will monitor the NWHE Facebook page and adding upcoming events to the Facebook page and keep them updated. The Fellowship Committee will plan 4 Mom’s night out events. You will purchase needed supplies, will set-up, lead, and clean-up our Mom’s Nights Out. There are approximately 4 MNO throughout the year in October, December, February and April. You will be working with our Field Trip Coordinator to organize 1-2 field trips in the school year. Secure location, notify group of date, and organize set up and clean up of events. This is usually a pot luck finger food event. Assist the chairman with set up, organizing, clean up and executing the events. Assign dates, times, and places for park days. Fellowship will center around all teens 13 and older getting to know each other through fellowship and activities that can include bowling, game night, etc., anything that will encourage teens to support each other in Christian endeavors, attitude and character. Fellowship will center around all tweens getting to know each other through fellowship and activities that can include bowling, game night, etc., anything that will encourage tweens to support each other in Christian endeavors, attitude and character. Members will support the chairman, help come up with activities, find locations and facilitate the events.